Harajuku girl with pink hair wearing a faux fur coat with knee socks, platform shoes, and a lip print bag. 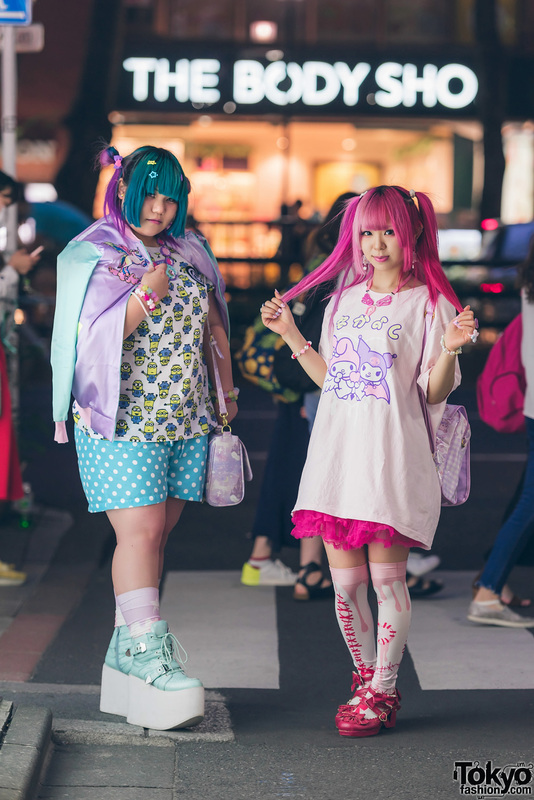 Harajuku girls in kawaii Japanese street styles include decora hair clips, bows, a heart cutout top, flowers, knee socks, and cute bags. 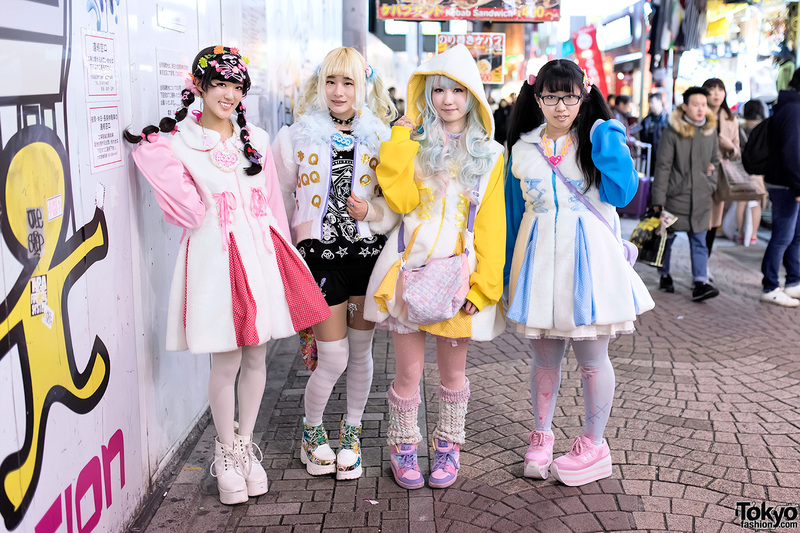 Four Harajuku girls on Takeshita Dori wearing colorful and kawaii fashion by several independent Japanese designers.